Always wanted to paint? Love painting with other like minded people? We can help you. 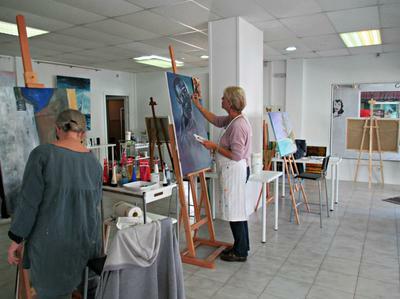 We are a non-profit club in a bright and clean studio with painting facilities. Bring your own paints and brushes or use ours for a small charge. 1 day 20 euros, 1 week 30 euros, 1 month 100 euros. 1 day free trial for beginners. Come and meet us or call for more information on 666598126 or 602154725. Thanks guys - keeeeep painting. The Art Club is indeed a great idea. A nice bright studio located not far from the church in San Pedro. Your studio is fully equipped--I just bring along my love of painting each time and have enjoyable days with the other friendly fellow painters. 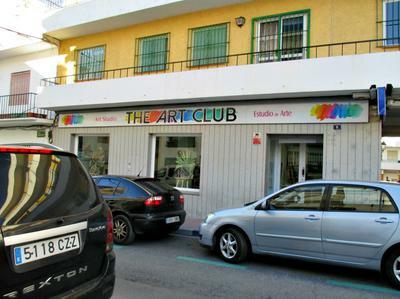 Art Club in Marbella or St,Pedro? I cood not find any of the strrts you mentioned in Marbella, only in Sant Pedro, is the Cub in San Pedro? I give painting lessons in the El Rosario Art Class, approx. 6 km from Marbella. If you want more information, send me an email please. Thanks for the clarification, Anne! Looks like a great program for those who have thought about engaging painting but needed a bit of coaching on how to start! Sorry, we don't actually teach in The Art Club. We can help get you started but are not teachers, just people who paint and can help each other.